Securitron recently released their new line addition, the BPSS. Combine the solar collection panel with their CCM-1N-S NEMA-39 Module Wall Mount Cabinet and Controller and you have one of the more advanced power supplies available today. The uses of this product greatly enhance opportunities for property owners to electronically secure remote entrances, especially locations where current mains power is unavailable. Especially designed and mounted with a south facing panel, you can now have year around power (off the grid), significantly reducing your installation and infrastructure costs. The product is available with either a 1o watt or 20 watt power rating. The cabinet can allow for up to 4 - 12 VDC 5 amp hour lead acid batteries, to store between 9 and 18 hours power (for nighttime use). Solar Panel Type: High efficiency photovoltaic using silicon nitride multicrystalline cells. The benefits of this product are immediately noted. The ability to bring affordable electronic security to the mass market has been realized. The barriers to entry due to lack of infrastructure are now eliminated. This will be especially helpful to builders and contractors looking to protect their project sites with around the clock electronic security that is almost costless to run. Reports are coming in about significant problems with the new Schlage Securekey product line. Specifically, these problems include design manufacture inconsistencies and parts not performing the task for which they were designed. Apparently, some of the internal pin tumbler workings are known to separate from the side bar element, causing keys to not work as they are supposed to. There have been reports of the cylinders able to be re-keyed without the use of the special key provided. People locked out of Schlage Securekey products have generally required the product destroyed and replaced, because of the apparent inability or difficulty to have a key determined. We are looking into these claims and plan to report more as we find out. 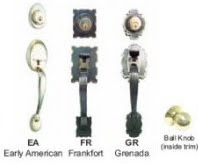 Baldwin Hardware Products are well known throughout the marketplace as manufacturers of superior quality hardware. It is unfortunate that new Baldwin products are now being made with Kwikset Smartkey cylinders. 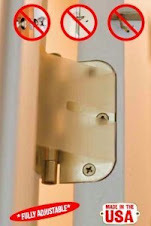 This represents a slap in the face to consumers, locksmiths and hardware providers everywhere, in my opinion. I suggest that Baldwin may have difficulties in future, honoring their lifetime warranties. 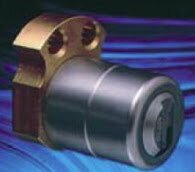 There is a bright side however, many of their products are able to use after-market cylinders, enabling third party manufacturers to still provide significantly better quality key cylinders and continue the ability to master key as necessary. 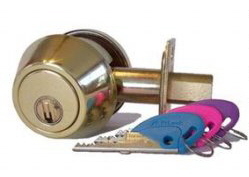 Locksmiths across the world sell multiple different brands of hardware. 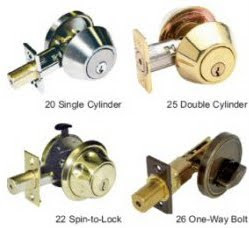 The more well known brands, like Schlage and Kwikset are often found in the big box chain stores as well as locksmith shops, but often there are other less well known but competitively priced alternatives, that sometimes are manufactured from better quality materials that many customers will never see on the rack. I really like the Cal-Royal brand products because they offer a wide range of hardware that is excellent quality and competitively priced to the mainstream big name brands. me and are stocked by local distributors. Pictured to the left here are some of the products in their range. LSDA are rarely found other than at locksmith companies, but their quality is exemplary and their prices are very competitive to Schlage and Kwikset. They offer the ability to key to either Kwikset or Schlage type keys. When choosing to update your door hardware, it is worthwile to consider alternative brands to the big name stuff, because often the products come with significantly longer warranties than the brand name stuff and their prices are super-competitive. LSDA product come with a lifetime warranty on finish (plating) and a 15 year warranty on mechanical parts. 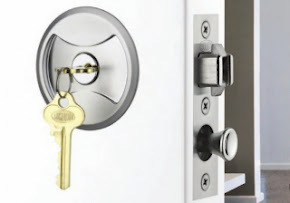 The price point is super competitive and parts can be easily sourced by any locksmith in the country, so you are not required to necessarily shop at the one provider. For interest in any of the LSDA range, please contact us and we will offer super-competitive pricing. How much does it cost to change door locks? Why do car keys cost so much? 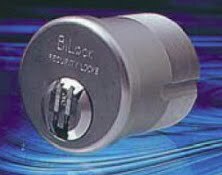 Why are Bilock Locks bump proof? We are pleased to re-direct you to one of our other sites to answer these most common questions. St. Louis Locksmiths and Master Key Systems America LLC regard all our clients personal information as confidential. We will never sell, transfer or publicise any personal details including contact names, addresses, email addresses, telephone numbers. Our clients security is of utmost importance to us. We may, from time to time, send literature or emails regarding updates or other information to our clients, for their personal information and use. 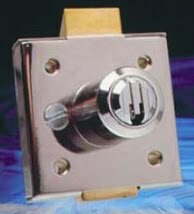 Bilock Mortise Cylinder for Abloy Mortise locks. 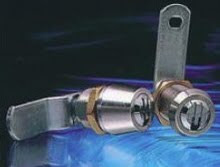 Convert Abloy locks into inter-changeable core function. Key Alike multiple different brands of hardware to enable a uniform key system. I have been using Powweb for the last 6 years as my chosen webhost and their service has always been impeccable. I am often asked as to whom i use for this necessary service and I always shout Powweb. It is a brilliantly run company and very easy to deal with. I just posted a banner at the top here, for anyone that might be looking for a no nonsense solution to web hosting. You have many choices today. 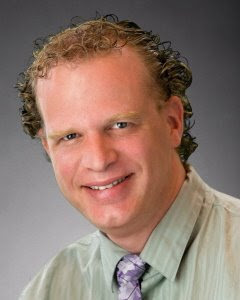 I choose Powweb because they have always done right by me. Connecting Tail-Pieces tailored to your specific product. The Department of Homeland Security Science & Technology Directorate is currently developing the Imaging System for Immersive Surveillance (ISIS). This is a video surveillance camera capable of recording 360º footage simultaneously. The Imaging System for Immersive Surveillance (ISIS) makes use of new video camera and image-stitching technology and can be bolted to a ceiling, mounted on a roof, or fastened to a truck-mounted telescoping mast. 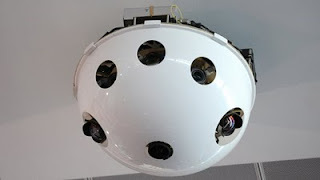 The unit makes use of a series of individual cameras to create video that is stitched together into a single, 360-degree, live view like a high-resolution video quilt. This means that, unlike traditional surveillance cameras, the device allows law enforcement to zoom in on a specific point of interest without losing visual contact with the rest of the scene. "Coverage this sweeping, with detail this fine, requires a very high pixel count," says program manager Dr. John Fortune, of S&T's Infrastructure and Geophysical Division, "ISIS has a resolution capability of 100 megapixels." That's as detailed as 50 full-HDTV movies playing at once, with and means it can zoom in closer and closer without losing clarity. Many of the ISIS capabilities were adapted from technology previously developed by MIT's Lincoln Laboratory for military applications, which built the current system with the help of technology experts from the Department of Energy's Pacific Northwest National Laboratory using commercial off-the-shelf cameras, computers, image processing boards and software. ISIS creators already have their eyes on a new and improved second generation model, complete with custom sensors and video boards, longer range cameras, higher resolution, a more efficient video format, and a discreet, chandelier-like frame – no bigger than a basketball. Eventually, the Department plans to develop a version of ISIS that will use infrared cameras to detect events that occur at night. A revolutionary new concept in cylinder locking design comes from Finland, the original home of the famous Abloy manufacturing company. The patented award winning iLOQ locking system offers advanced security andconvenient access management for master-key locking environments. The system is specified for applications with a need for high security combined with flexible management of access rights to facilities secured by doors, remote locations secured with padlocks, lockers and cabinets secured with cam locks. A fast growing application base shows that the benefits of the iLOQ S10 locking system improve security and locking management convenience in commercial premises, office buildings, apartment houses, governmental and municipal authorities, banks, hospitals, schools, universities, rental buildings & cottages, infrastructure suppliers (telecom/energy/water), public transport, etc. The revolutionary iLOQ electronic locking solution integrates modern communication and software technologies enabling a new level of high-security throughout the lifetime of a locking management system. The system is specified for use in master-key locking applications like commercial premises, office buildings, as well as in apartment buildings, providing benefits in applications where high security level as well as advanced access management is required. 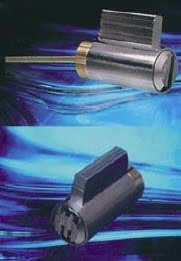 The patented self-powered electromechanical iLOQ lock cylinder can replace traditional mechanical cylinders. Powerful encryption and security feature grant that the security level of existing mechanical are shifted on digital high-security level. The iLOQ locking system has nearly unlimited keying options including blacklisting of lost keys and recording audit trail. The installation of the iLOQ cylinders is very easy as no cabling or wiring is needed. Being self-powered, the iLOQ solution eliminates work, costs and waste associated with battery changes. The iLOQ system enables powerful multi site administration increasing operation efficiency. 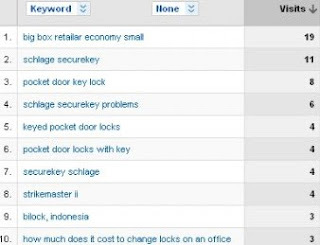 Lost key costs are very low due to easy blacklisting of lost keys. 375 total visits from 307 search terms across the multiple search engines, including Google, Yahoo, Bing, Ask, AOL, Search and Yandex. Interestingly, Schlage Securekey is very popular this month as is Keyed Pocket Door Locks. To average 10 hits a day from search engines, may not seem high, but considering my niche, I think it is doing okay. In the 12 months to May 31st, 2010 this site yielded 6390 total visits from 4397 keyword searches. How many did your site get? Pictured below is the latest map of the reported crimes to St Louis County Police, as at May 31st, 2010. The green dots represent the above numbers. 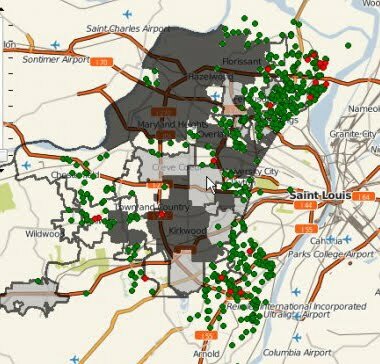 If you live in these areas, it is worthwile to be aware of the local targets and your responsibility to secure yourself adequately.